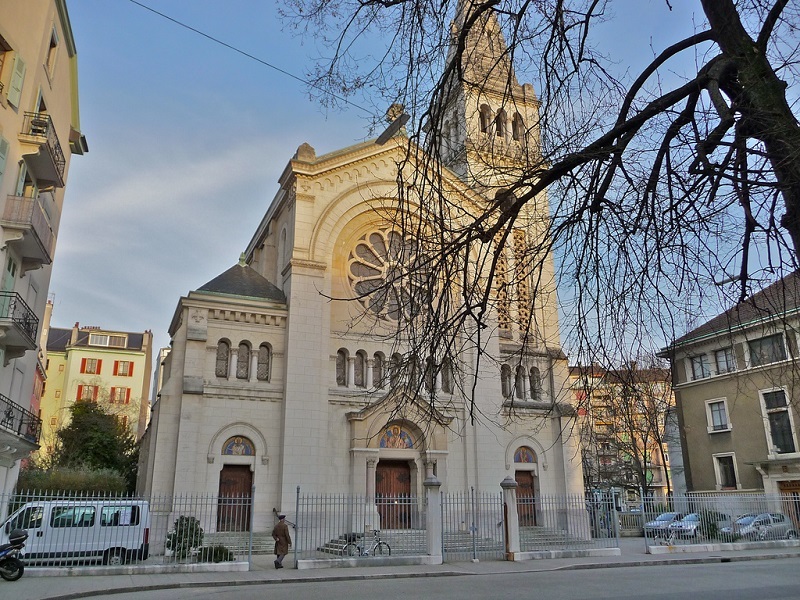 Are you looking for a place to stay while visiting Geneva, nicknamed “the protestant Rome”? Discover where to stay in Geneva! The second most populated city in Switzerland after Zurich, Geneva is nestled in an enclave between the regions of Haute-Savoie, Ain – on the French side – and Lake Geneva. The Swiss city is featured every year on the list of the world’s most liveable cities. It is also one of the most expensive in the world and finding accommodation to stay in Geneva is likely to be complicated, unless you put in the price. Home to the headquarters of 23 major international institutions – including the United Nations, World Trade Organization, World Health Organization, 250 Non-Governmental Organizations, International Committee of the Red Cross, European Organization for Nuclear Research -, Geneva is populated by 202,144 inhabitants (2017). Home to the iconic 140-metre high water jet, the city is built on the southern shores of Lake Geneva and is divided into four sections – the City, Plainpalais, Eaux-Vives and Petit-Saconnex – or arrondissements, comprising more than thirty neighbourhoods exuding a unique atmosphere. Find out where to stay in Geneva. As is often the case, the city centre of a multicultural metropolis is the best place to live. 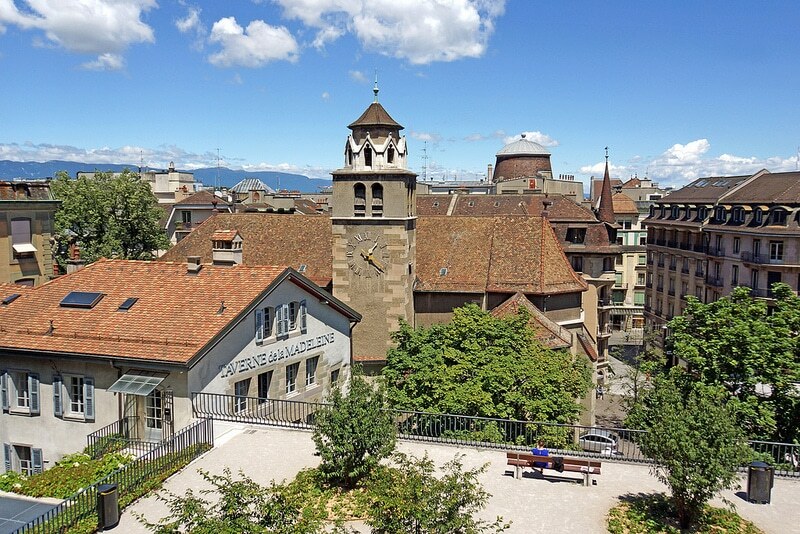 In Geneva, the historic monuments, vestiges of the past, sit alongside modern buildings mostly concentrated in the city centre. This district also houses the majority of bars where the well-heeled youth come to relax and have fun. You’ll find accommodation in abundance, from apartments to homestay rooms, as well as hotels or even boats for hire on the quays of Lake Geneva, though the rental rates will be very high (up to 3500 Swiss francs per month!). On the upper side of town, overlooking the city centre, Saint Peter’s Cathedral is surrounded by large green spaces: Parc des Bastions, Promenade de la Treille, Parc de l’Observatoire, Promenade du Pin, Parc du Museum d’Histoire Naturelle, the Jardin Anglais park and the Horloge Fleurie, situated on the quays. The lower side of town is home to numerous shopping streets, including Rue de la Confédération, Rue du Marché, Rue de la Croix-d’Or, Rue de Rive, Rue du Rhône. Filled with a wealth of restaurants, cafés, bars, and luxury boutiques, this central district is an ideal place to stay in Geneva, although it is also very touristic and very expensive. Plainpalais is a great place to stay in Geneva if you are travelling with your family. This district was born on the swamps of Palais, between the Rhône and the Arve. Situated only a few minutes from downtown Geneva, Plainpalais offers a peaceful atmosphere and an excellent quality of life. Don’t miss the flea market, on the Plaine de Plainpalais, where local market gardeners sell an array of fruits, vegetables, spices, specialities of the canton of Valais, along with bread, meats and cheeses. A lively and quiet area, Plainpalais offers pleasant walks along the quays and boulevards. We do recommend renting a homestay apartment, to avoid spending a fortune at the restaurant or hotel every day. 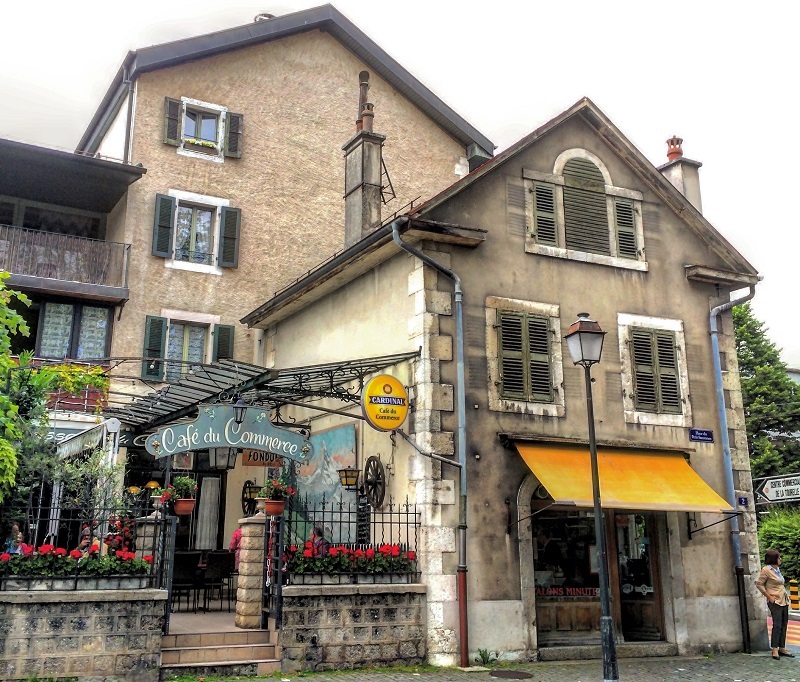 On the northern banks of the Rhône river and Lake Geneva, on the other side of the Eaux-Vives district, the Petit-Saconnex has preserved its country atmosphere of yesteryear, before it became part of the territory of Geneva. Indeed, The Petit-Saconnex is like a haven of green and fresh air in the middle of the “City of Peace”. Offering numerous accommodation options, this neighbourhood is a good place to stay in Geneva for anyone wishing to enjoy a peaceful ambience not far from the city centre. Enjoy the Promenade des Crêts, the Jardin de la Paix, Vermont Park, and have a drink on a terrace of the Place du Petit-Saconnex. After your walk, cross the train station area towards the Quai Wilson to discover one of Geneva’s must-sees: the Parc Mon Repos, the Parc Barton, and the wonderful Botanical Garden. Choose this area to stay in Geneva if you are looking for peace and quiet.